HUNTING PRINCE DRACULA is now available!!!! the day has finally arrived! HUNTING PRINCE DRACULA is now in the world and i don’t think this feeling of overwhelming gratitude will ever, ever get old. i’m so lucky to have so much love and support behind my books, and hope you know how very much it means to me. This story was written from my heart and now it belongs to you, dear reader. I hope you love sinking your teeth into it! (I couldn’t resist at least ONE vampire pun!) Please tell all of your friends and share the release day love—your enthusiasm is one of my favorite things! Tonight I kick off the #HuntingPrinceDraculaTour with friends of the Knox county library in Knoxville, but for now I’m going to enjoy all of your beautiful pictures. ***If you don’t live close to a tour stop, or can’t make it out, please contact the bookstores if you’d like a signed/personalized copy of HPD. A lot of them will ship your order to you, so it’s *almost* like attending the event! i’ve got a surprise flash giveaway happening on twitter right now! up for grabs (for US residents only this time, international will be soon!) 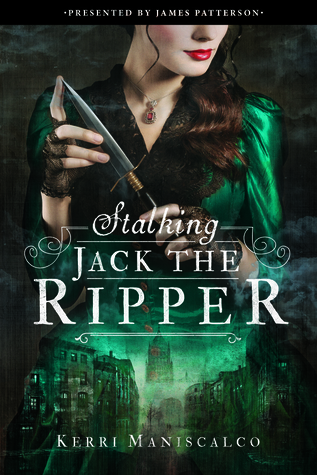 is one hard cover copy of STALKING JACK THE RIPPER that i sketched a skull in. it will be signed and personalized and you’ll be the only person who has a copy with my artwork. the skull was sketched with gold and black marker and will also be signed. enter on twitter by replying and following me there by November 1st at noon eastern time. good luck and happy halloween!!! Halloween is definitely one of my favorite holiday’s… EVER. It may have a little something to do with my love of all things mysterious and paranormal. Or it could just be my undying obsession with horror movies, pumpkins and things that go bump in the night. Speaking of parents… My parents got married on Halloween, which is an awesome story, and maybe one day I’ll write about it. (Watch out Wes Craven and John Carpenter.) Happy Anniversary Mom & Dad, love you to death! In all seriousness, I’d like to wish you all a very spook-tacular day. Be safe, get in the ‘spirit’ of things, play some tricks, get some treats and have some fun on this last day of October. 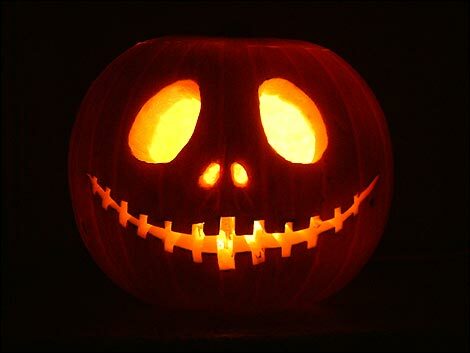 Happy Halloween – Eat, drink and be scary!! !